Paige VanZant is a great grappler who tries to clinch up and dominate with tremendous clinch strikes as soon as the fight starts. The trademarks of her style are clinching and ground and pound. In the stand-up, she is known for utilizing various elbows, knees, throws, and punches. Paige VanZant is currently 25 years old according to his/her date of birth March 26, 1994. As soon as the opponent gets the distance, Paige VanZant constantly pressures and tries to shorten it with aggressive grappling. Paige is a blue belt in BJJ. She is a very tough opponent – 12 Gauge has never been knocked out in her MMA career! She is a very flexible fighter. Paige also knows to surprise the opponent off the distance with very attractive high kicks and punches. When you fight against Paige VanZant, you will hardly be able to determine where is the danger coming from! Paige VanZant had her MMA debut on June 30, 2012, in the fight versus Jordan Gaza in Corpus Christi, Texas, whom she won via split decision. She had three more fights before signing UFC in different promotions. Paige defeated Amber Stautzenberger via unanimous decision, lost to Tecia Torres via unanimous decision, and won Courtney Himes via rear-naked choke. Paige VanZant had her UFC debut at UFC Fight Night 57, against Kailin Curran, on November 22, 2014, in Austin, Texas. It was an amazing third-round victory of 12 Gauge via TKO, and she earned her first Fight Of The Night Bonus. Her next fight was at UFC on Fox 15, on April 18, 2015, and the opponent was Felice Herrig. Paige VanZant von via unanimous decision thanks to her superb grappling. Paige was more than convincing at UFC 191, on September 5, where she fought Alex Chambers. After a very one-sided match, 12 Gauge won via armbar in the beginning of the third round. This night will be remembered by Paige VanZant’s worst fight ever. On December 10, 2015, she faced Rose Namajunas. In the longest fight of her career, Paige looked very inferior during the whole fight, she was in a defensive position almost all the time, in the stand-up and on the ground. 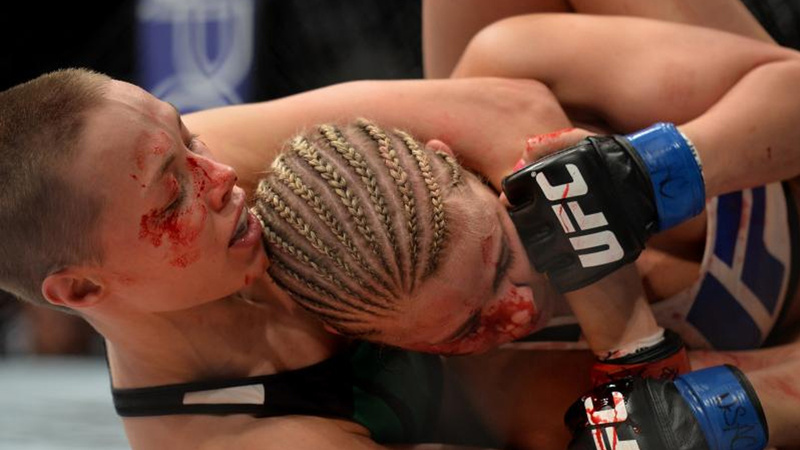 Rose Namajunas won in fifth round via rear-naked choke. Paige VanZant showed she can kick hard at UFC on Fox 21, on August 27, 2016, in Vancouver, British Columbia, in the match against Bec Rawlings. In the beginning of the second round, Paige landed a flying double kick to the head, which was followed by a very brutal barrage of hammer fists, and won via KO, earning her first Performance Of The Night Award. This was the most attractive knockout of 12 Gauge’s career. On December 17, 2016, Paige faced Michelle Waterson in Sacramento, California. Michelle took her against the fence and took her down to the ground via world-class neck throw, falling into side control position. Paige VanZant tried to escape, but Waterson came behind her back and set up a rear-naked choke. Paige was defeated in the first round. Paige VanZant moved to the flyweight division in August 2017, and she should face Jessica Eye in UFC 216 but withdrew due to medical issues. 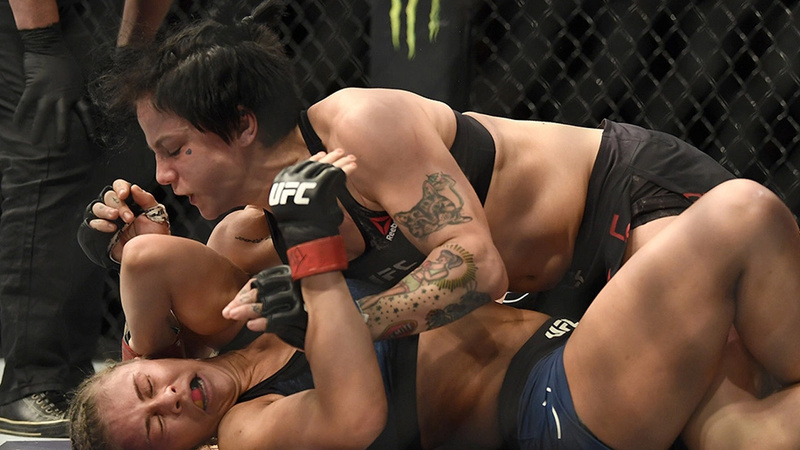 Paige had her flyweight debut at UFC Fight Night 124, on January 14, 2018, in St Louis, Missouri, versus Jessica Rose-Clark, in the co-main event of the evening. 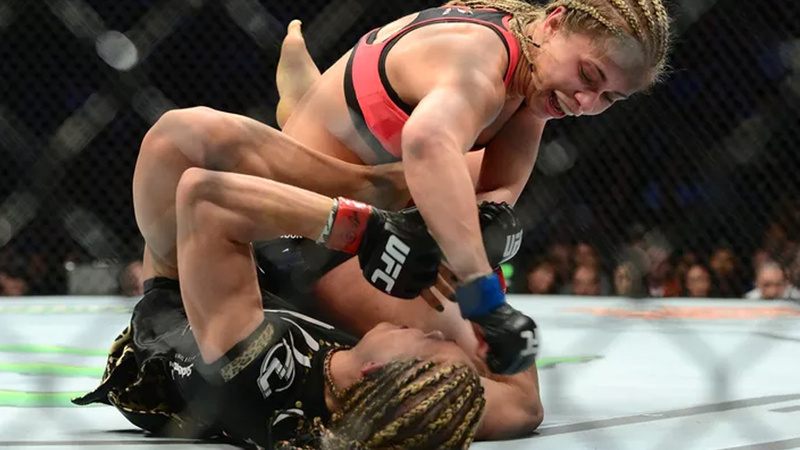 During the first two rounds, VanZant was unsuccessfully trying to take the fight to the ground and Jessica won via unanimous decision after three rounds. 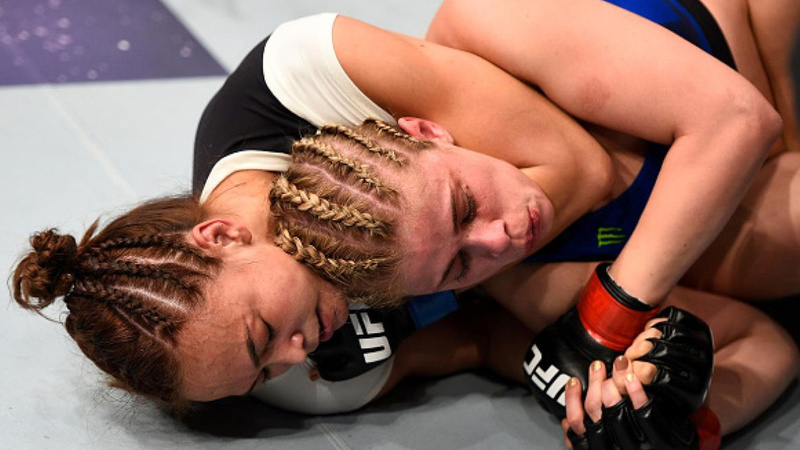 Paige VanZant fought until the end, despite her broken arm. She didn’t throw any right-hand strikes during the third round. Paige’s coach Fabiano Scherner didn’t want to throw in the towel, thinking it wasn’t a serious injury, but he apologized later. Paige later shared the X-ray of the broken arm on her Twitter. Paige VanZant shocked her fans when she posted a gruesome image of a deep gash on her left foot in 2017. Paige VanZant was a runner-up in “Dancing With The Stars” competition in 2016, where she competed with her dancing partner, Mark Ballas. 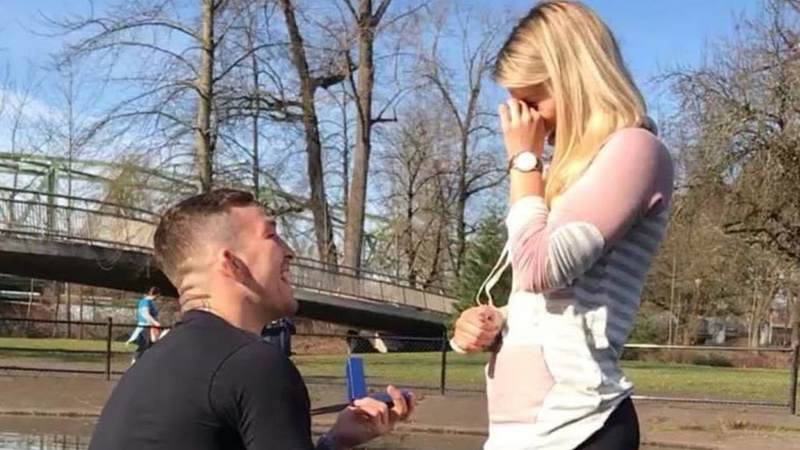 Paige VanZant is engaged to the professional MMA fighter, Austin Vanderford. She plans to publish her autobiography next year.